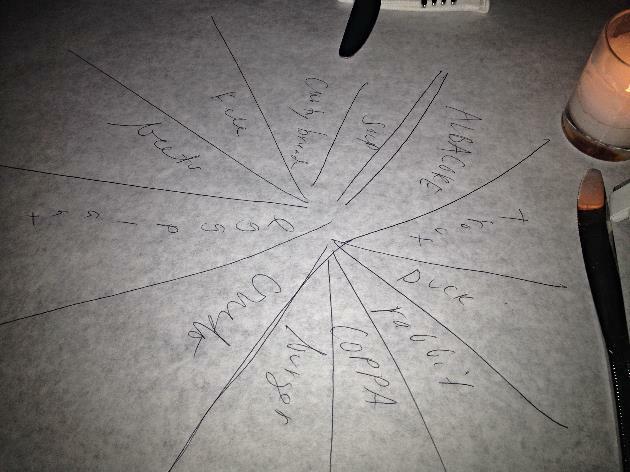 As The Foodie Magician, my signature trick is guessing people's favorite restaurants. One restaurant that comes up often is Diner, in Williamsburg, Brooklyn. Diner was one of the stalwarts of Brooklyn cuisine, helping put Williamsburg on the culinary map in 1999. Located in a Kullman car near the Williamsburg Bridge, it is quite charming. I stopped in recently for the first time and had some delectable bites from Executive chef Sean Rembold. You know you are in Brooklyn, when the menu is written down for you by the waitress as she recites it, on the paper tablecloth on your table. Cool and hip, fo sho. 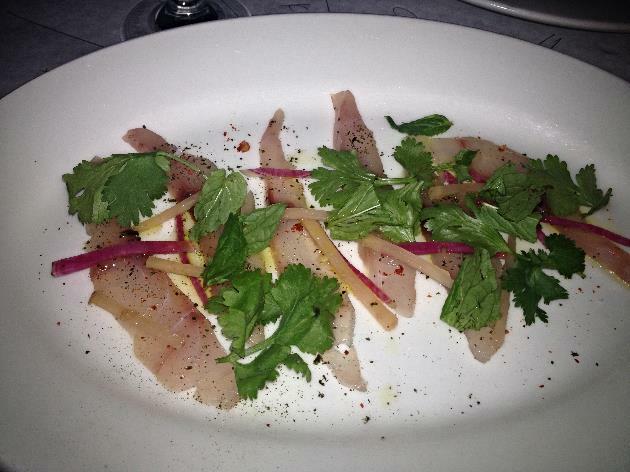 A starter of bass crudo was fine and dandy. Nothing too cray. Kale salad was fine and solid. Kale of course is the new lettuce nowadays. Pork was grilled to perfection and topped with an egg. Pure deliciousness. Grilled whole trout was tender and splendid. Diner has been around for a reason. It's a solid joint in a cool location. It's more than the food, it's about being a part of the Brooklyn culinary history. A true Brooklyn institution. So stop in, and take a bite out of Brooklyn, a magical experience awaits.